For those who may have not been keeping up with the new health care reforms that are scheduled to become effective in 2014, they are listed below. Guaranteed Issue: Requires insurers to accept every individual and employer that applies for coverage. Ban on Waiting Periods: Employers cannot impose waiting periods longer than 90 days before an employee can be eligible for coverage. Rating Requirements: Insurers are restricted from using health status, gender, and other such factors in setting premiums. Ban on Preexisting Condition Exclusions: Insurers cannot exclude or limit coverage for people with preexisting health problems. 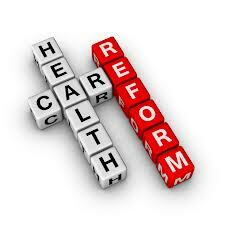 Essential Health Benefits: Requires insurers to cover a comprehensive set of health benefits. Out-of-Pocket Cost Limits: Holds out-of-pocket costs to the level established for high-deductible health plans that qualify for health savings accounts. Actuarial Value: Requires insurers to cover at least 60 percent of total costs under each plan and sell plans that meet new benefit tiers based on average costs covered. Although these reforms may sound ideal in writing, a new report provided by the Commonwealth Fund report states that only 11 states, and the District of Columbia have begun to pass laws or regulations in order to put these reforms into action. The 39 states who have not begun to take action could be limiting the effects of the reforms. The authors of the report titled, “Implementing the Affordable Care Act: State Action on 2014 Market Reforms,” Katie Keith, Kevin W. Lucia and Sabrina Corlette of Georgetown University say that if action by the individual states is not taken, then the responsibility may default to the federal government. An interactive map of state’s actions can be viewed here.